30 Day Grant Writing Coaching Program To Getting FUNDED! After you finish The Ultimate Grant Writing That Gets Funded training you are not dropped! You can now benefit from 30 Days Of Grant Writing Coaching Videos designed to help lead you step-by-step through EXACTLY what you should be doing your first 30 days to help you Get Funded! These insightful videos serve as great reminders about the content you've already received from the training and provides you with new fresh content to keep you growing. Each video is short and concise with specific instructions to Remove ALL Doubts of what you should be doing every day to get the maximum results. You will watch these videos again and again because they serve as great motivators to move you to action! 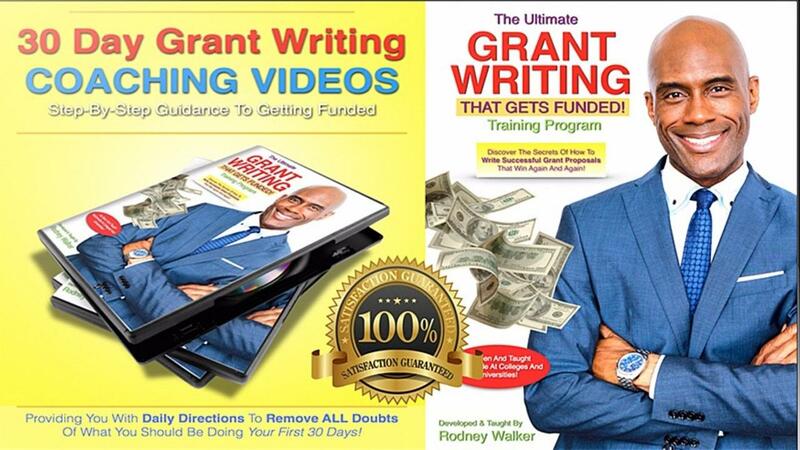 30 Day Grant Writing Coaching Videos To Getting Funded Now!